- 8 Color Modes including Rainbow Color Change! - Receptions! Special Events! Epic New Years Parties! 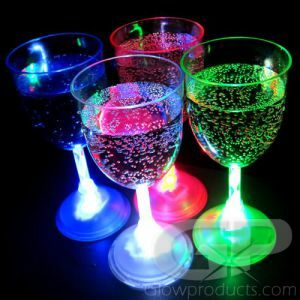 Multi Color Light Up LED Champagne Glasses! 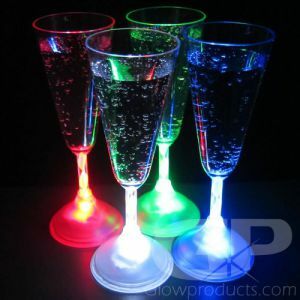 Each Glowing Champagne Flute has 8 different light settings including a color changing "Rainbow" setting. All light up champagne stem glasses have replaceable batteries so you can use them again and again. 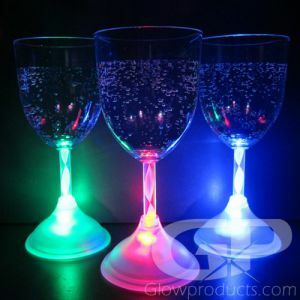 So whether you are having a romantic evening and sipping a glass of champagne with your main squeeze, toasting at a wedding or bringing in the New Year, be sure to do it in style with Multi Color Light Up LED Champagne Glasses! Instructions: Press the button at the base of the LED Champagne Glass to turn the glass on rotate through the 8 color and light modes. 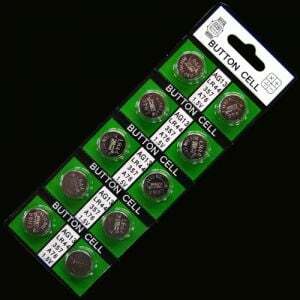 3 AG13 batteries are included and replaceable. To wash, unscrew the bottom of the LED Champagne Flute and wash with warm water and soap. 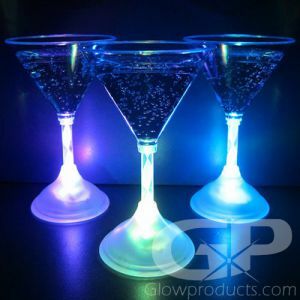 Glowing LED Champagne Glasses are also available in single color versions for specific color themes. 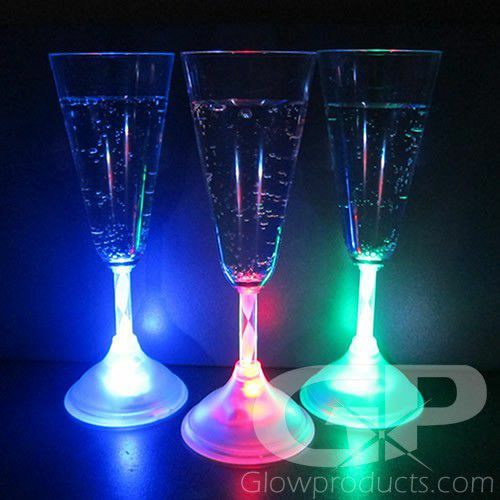 Be sure to check out the Single Color Lighted LED Champagne Glasses!